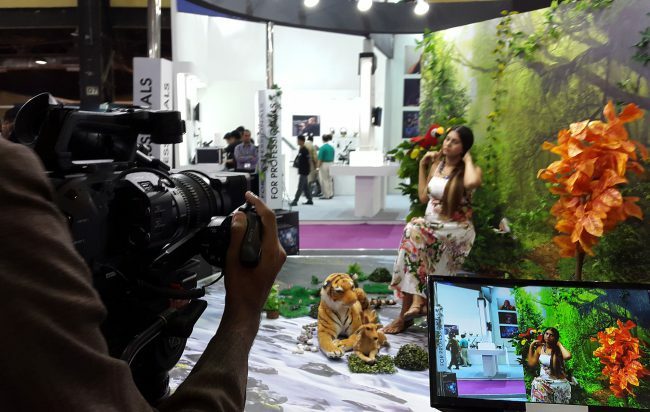 I was happy to find time to visit Broadcast India 2014 (link to last year’s show report), and this is my detailed report of what I found exciting – and troubling. Important: What follows is not business, financial or legal advice or analysis, just my personal opinion. Please consult a professional before taking any action. I’ll not take names when being negative, and the few kind individuals who took the time out to chat and discuss their products or services are mentioned. 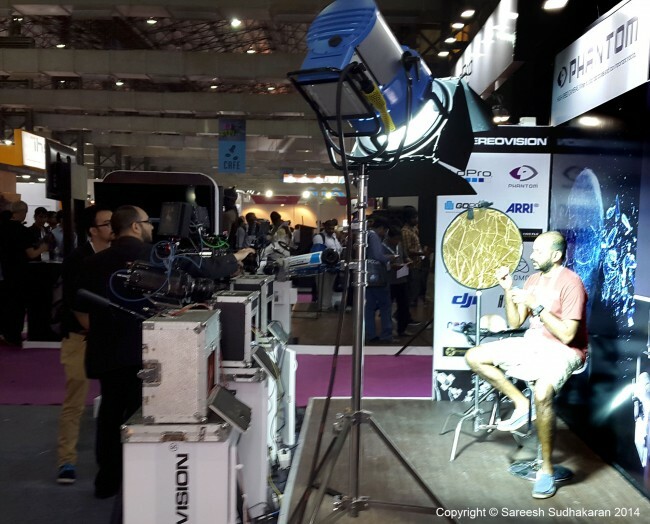 Broadcast India (started in 1991) is probably the biggest film and television technology show in India, and takes place in Mumbai every year. Talk to as many rental guys as possible! They know what gear really works. I saw them all, and here are my thoughts. I’ll tell my clients the same thing, right? The rep from Aja told me they are still working on their ‘color science’ and won’t commit to whether the camera will ship this year. Another rep told me he’ll have a demo ready by the first week of December. At the moment the CION can only record 4K Prores in Rec. 709, and they are thinking about adding a ‘log-like’ version. No external LUTs. The only recorder capable of handling 4K RAW is Codex, which probably costs more than the camera itself. They are hoping Convergent Design or the like will pick up the ball. Curiously, they didn’t mention any recorders from Aja itself! More mounts are available from MTF, $600 each, including EF and Nikon mounts. One impressive feature is you can manually install these mounts with an allen-wrench and minutely adjust the sensor position to ensure perfect back focus. Good job. An exciting camera, unfortunately overshadowed by this next beauty. The thumb-wheel to scroll through menu features is recessed, and you really have to press hard to get it to scroll smoothly, or at all. I wonder what large-fingered dudes and dudettes will do? The grip is a cool idea, and you can click it into various positions – but it has massive play. That’s okay, but for another bigger problem – the play leads to very audible clicks where plastic meets plastic. Beware, audio recorders. Overall I am highly impressed with this package. Can’t wait to get on a working piece. “Slight” delay in the SDI feed? Blackmagic Design must be lauded for ‘promising’ us an internally-recording 4K RAW camera. This is one huge camera, embarrassingly so. You’ll need a bus ticket to travel from one side to the next. The size makes it useless for most low-budget productions, even features. What do you do with a $5,000 camera that needs a Chapman dolly, Technocrane, a Steadicam or the most expensive gimball to move around? Shoulder-mounted operation? Read my thoughts below. On the bright side, the image looks great – similar to what the Production Camera 4K looks like. On how big the audio meters are and how directors can see them across the room! About the custom mount option. They obviously have discovered (months after marketing and promoting the camera) that you can’t ask customers to ship back the Titanic just to change mounts, so they are ‘looking into’ other options. All three monitors show different colored images! Confusion majorus supremus. The audio and follow focus options are on the right side. A single camera operator will need to be a giraffe or bicephalic. The audio level knobs are extremely hard to get hold of and turn. I can see this becoming a major problem. What can I say? The Phantom is a great camera, but the novelty has worn off. Guys, bring some scientists on board and do something cool, like shatter glass with a bullet or whatever. Bubbles don’t inspire cinematographers. The images look great, especially in low light. Even though it is impossible to tell with a demo unit, I’d say the Varicam is at least as good as an F55 or an Amira, in terms of image quality. There is almost zero noise at ISO 5000. The reason is, the Varicam has two ‘native’ ISOs – 800 and 5000. The lowest ISO is 800, and if you want to go lower, you have to engage ND filters. 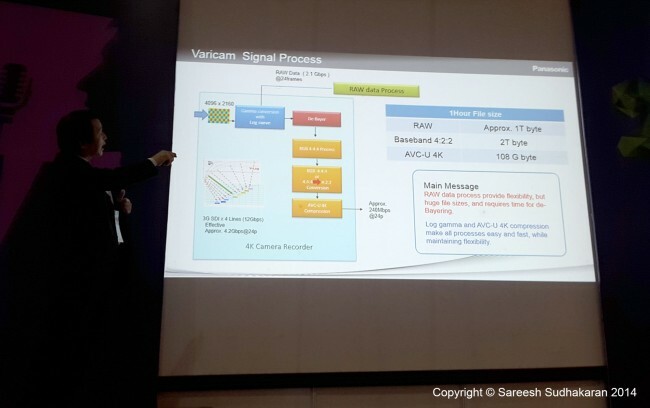 The sensor and color science is so engineered that the camera displays 14 stops of dynamic range at all ISOs – which no other camera in the world claims to do. The camera records in AVC Ultra, which is a variant of H.264. Data rates vary from 320 Mbps to 800 Mbps. It is also capable of 4K RAW, but only via a Codex recorder. It is not weatherproof like the Amira. It has dual recording, and also automatic creation of dailies and the ability to use custom LUTs. Neil maintains the EVF is the best in the world. Even better than…ahem…you know who. I found it to be ‘useful’ only after bumping the contrast up all the way to +6. Maybe I’m missing something. It is a well-thought-out camera, at an inexplicable price point. Whether or not this camera will be successful, time will tell. What can I say? The Varicam is easily the standout camera. But will I use or recommend it? No. It’s too expensive. For 1080p I’d choose the Amira and for 4K I’d choose the F55. If I want film-like quality I’ll rent an Alexa or a Dragon. The FS7 is the camera to beat. I just hope Sony hasn’t crippled a lot of functionality to protect the F-series. I have lost interest in the CION and the Ursa, not because they are ‘bad’ cameras or whatever. It’s just that, in this day and age, I can’t invest in companies that can’t guarantee after-sales service or timely delivery or both. I was really hoping for plasma lights from Hive, but they never showed up. Lupolux had a large empty stand – their lights never cleared customs in time for the show. For HMIs, the only representation was from Arri and K5600. Couldn’t find a single Mole Richardson light, not even a shell or a used piece. Do they really care about the Indian market? Representing tungsten was Arri (Arri is everywhere) and Dedolight. Unfortunately, Dedolight only had their 150W run-and-gun kit. Not impressed. 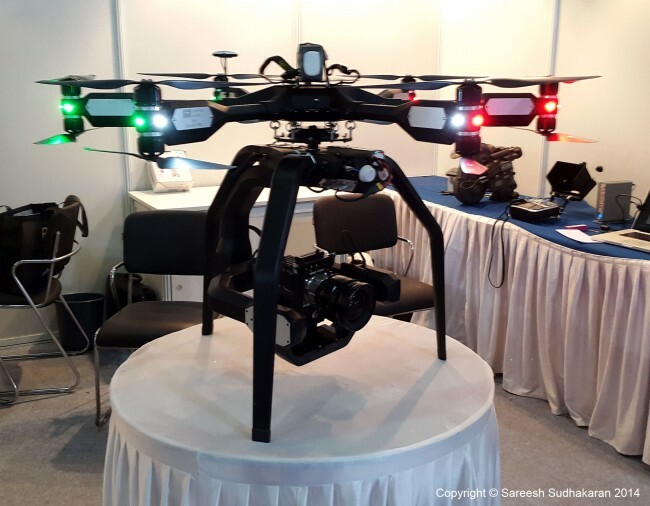 As far as LEDs are concerned, I was interested in only one offering – an Indian company’s at that. Canara Lighting is one major manufacturer based in Mangalore, India. Royal Peter, Engineer – Design and Marketing, gave me a demo of their LED fresnel line. The single-most thing that impressed me was his statement that the internal fan runs at 16-20dB. 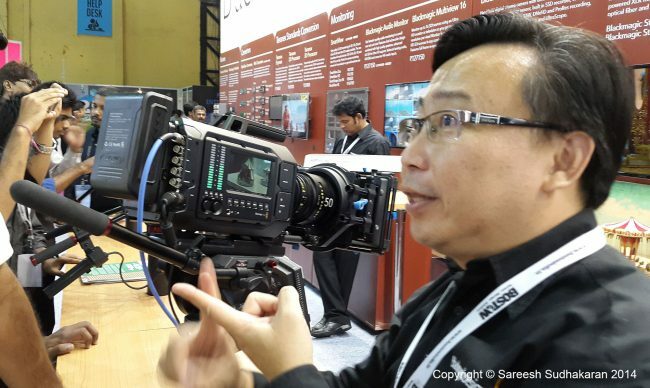 This is a major plus, because, other than the Arri L7-C, all Chinese clones are too noisy. I intend to visit their factory to see for myself before taking their word. Clones of Arri lights were everywhere, some not 10-20 feet from them. It is quite clear to me that there’s nothing Arri can do about people copying their gear. Perhaps their gear isn’t under patent anymore? Square LED panels are getting cheaper, and CRIs of 94+ where reported. A couple of manufacturers from China showed up as well. Many Indian dealers passed off Chinese LEDs as their own. Some even had the nerve to insist the lights were made in India. Why argue? Of course, there are a few Indian manufacturers who make direct clones of Arri and Mole gear as well. Most of the rental houses in India use these clones. They are doing excellent business. Would I invest in these cheap LED lights? ‘Invest’ is the wrong word here. They’re cheaper than an expensive dinner. I saw people buying them by the hordes. None of the larger spot/fresnel fixtures were appealing (they are big and heavy! ), but square panels were being lapped up by the nanosecond. I saw the Astra, but all the brightness it can provide is not enough to subdue the price pinch that comes along with it. Can’t recommend it when cheaper options exist – with the exact same ‘LED look’. Buy four Chinese brands for the price of one. Those are good odds for any hungry filmmaker. I was hoping to come back with some purchase decisions, but I am thoroughly unimpressed. Nothing has changed from last year. I think I’ll stick to tungsten fresnels and open faces for another year. I am in the market for a decent fluid head that can support between 1-14 kgs, is a true fluid head, and can be used for travel. My choices are Miller, Cartoni, OConnor and Sachtler. Miller had zero representation. Too bad, they’ve lost me as a customer, at least for now. I looked at Sachtler and OConnor, two names that do not need to be sold to me. My search has boiled down to a great deal – where are you, great deal? One update about the Cartoni Focus HD (I almost pulled the plug and purchased this system, but I’ve changed my mind): The plastic knob problem has seemingly been fixed in the 2014 version. They told me the knobs have been reinforced with more plastic (and are not hollow) so they won’t break off easily anymore. Also, the camera release knob is stronger plastic and latches completely shut. Of course, I can’t verify the veracity of this because I have no prior experience with Cartoni, but I thought I’d share it with you. Clones are aplenty – right next door to the Vitec booth. It must hurt. I even found a Chinese company selling an exact OConnor clone, down to the very name, and proud of it as well. Will I ever invest in them? No. I burned my hands years ago, never again. 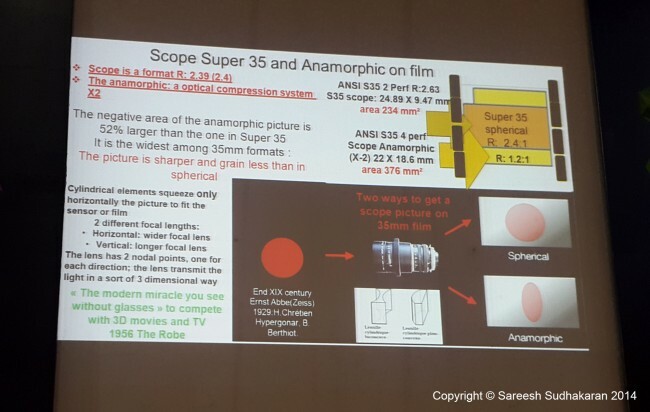 I must thank Jean-Yves Le Poulain, Product Line Manager Cine, Thales Angenieux, for an extensive demo and chat about the qualities of anamorphic primes and zooms. I attended his lecture (unfortunately cut short due to poor conference management, boo!) and have somewhat understood why anamorphic adapters are a bad idea. I also got to speak with GUO Nan of GL Optics on why it’s tough to cinematasize Nikon G and Canon glass. I will continue to watch this space. For now, the Zeiss CP.2 system rules. It doesn’t clear away completely, especially if there are minute marks or dust on the glass. Water that splashes onto your lens is usually laced with some kind of dirt or whatever. This applies to rain as well. Or is there any special place that only showers distilled water? It is useless in continuous rain. What happens when it dries out with stains? I am also in the market for a set of 4×5.65 filters, and I talked to Robin Thwaites, International Director of Sales, on the merits of hot mirror and glass filters in general over resin filters. I’m all set here, except for one problem – they don’t have a dealer yet. A rep from Bright Tangerine stood on his carbon fiber matte box to demonstrate how tough it is. An Arri rep asked me why the BT rep didn’t stand on it when it is the other way around. Arri says their matte boxes are made of tough plastic so that, if the camera falls on the mattebox for some reason, the force will be absorbed by the matte box thus saving the expensive lens. Who’s right? I asked the rental guys. 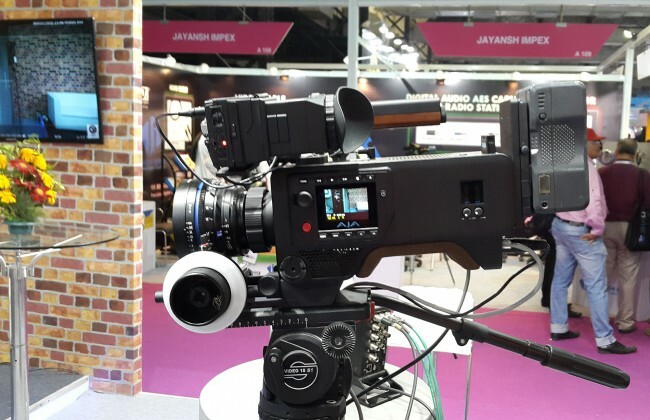 According to collective wisdom in the Indian market, Chrosziel matte boxes and follow focus systems need regular maintenance, while Arri gear hardly needs servicing. Of course, for low budget filmmakers like me, it’s hard to put money down for an Arri. I was impressed with the Bright Tangerine design and features for its price point, but I was also similarly impressed with the Lanparte carbon fiber matte box which seems like an exact clone – for one-fourth the price! When dealers don’t let you demo things, poor filmmakers will drift to the cheaper option. More on this later. I was happy to get a Freefly and DJI Ronin demo. Both are light but impossible to use for extended periods (unless you were born with a titanium spine). 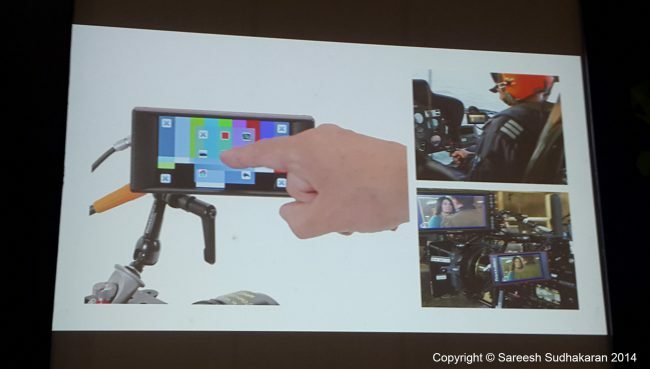 The most impressive handheld mount I saw was the Lanparte gimball for the GoPro that also takes mobile phones. I almost put money down on the spot for one for my Samsung S5 (it records 4K too and is IP67 as well – a GoPro that can take calls). Then I remembered, there’ll be a hundred clones by next year. The Shogun was kept in a glass container. At least at the Sony A7s launch I got to touch it. It will not ship with LUT ability, but that will come as a firmware update. So will 4:4:4 recording. Still, there’s nothing on the horizon better than the Atomos Shogun for what it delivers. I’m just happy I didn’t put down a payment for it. I found many clones and it has confused me more than ever! However, I did look at Bebob, Pag, et al, and the prices for these batteries makes me cringe. Still, I am far from making my mind up in this space. Of course it’s expensive as hell, but as Jacques Delacoux, President (CEO?) 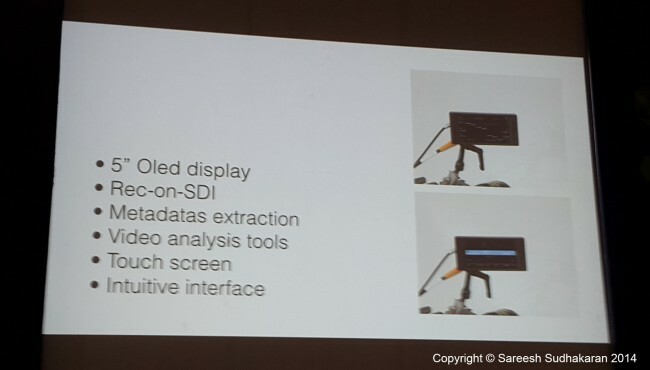 of Transvideo, explained, it handles metadata as well, including lens metadata from Cooke, Arri and Canon cinema glass. There must be a hidden message in there somewhere, but I can’t decipher it. India is a price sensitive market, as you know very well. Every imported product costs about 1.5x to 2x the USD amount. If expensive gear isn’t selling, it’s not because it is expensive. I know this because, many actually fly out to Singapore to buy stuff. 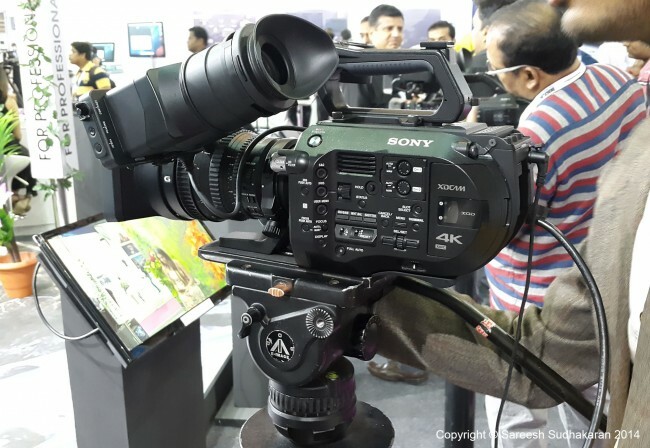 Filmmakers in India can’t afford to buy wrong gear. An incorrect decision is a huge financial burden. Your dealers are not adept at communications. Even if someone sends them a presales inquiry, they are late to respond, if at all. They don’t have a lot of knowledge about the product. You must revise your dealership strategy. Your dealers don’t show independent inquiries any importance. If a filmmaker asks for a quote, it is seen as an inconvenience. They don’t follow up on quotes. They don’t sell. Your dealers invite the same people for every launch, most of whom will never buy anyway. Dealers don’t have the entire range of products to test out. Do you really expect someone to make a purchase decision on a $3,000+ product (anywhere in the world) without touching it? After-sales service is a nightmare. If I have to ship my product out of the country every year, I am ruined. Even the dealer loses money, and my goodwill. Do your dealers even have the same passion for your gear as you do? If not, how will they communicate your message to your clients? Have showrooms in India, at least in Mumbai, Chennai and Delhi. Display your products and give out free demoes. Have spare parts ready. At least train someone for immediate support if something goes wrong. Even toy manufacturers give better service, and what you sell are not toys! Allow people to return products if they are not happy or need replacements. Provide financing! Why doesn’t a single manufacturer provide financing? Sell online if you can. I would rather buy from Amazon or Flipkart than talk to a stupid dealer who has no interest in your product, or me, anyway. Inspire upcoming filmmakers with good marketing. Do it NOW! Great post, especially the last “strategy” section.